Samsung has announced plans to launch its Galaxy S smartphone in partnership with all three major mobile operators in China. The Galaxy S will be available on three different 3G standards, with China Telecom offering a CDMA2000 device (Model Name: SCH-I909), China Mobile providing a TD-SCDMA model (GT-I9008), and China Unicom marketing a WCDMA version (GT-I9088). Starting with the launch of the Samsung Galaxy S for China Telecom this September, all three phones will be launched in the Chinese market this year. As you may already know, the Galaxy S comes with a sleek design, a bright 4-inch Super AMOLED screen and a 1 GHz application processor, giving users an intelligent, immersive and integrated mobile experience. Samsung’s Galaxy S model for China Telecom has dual-standby, supporting both CDMA and GSM networks. 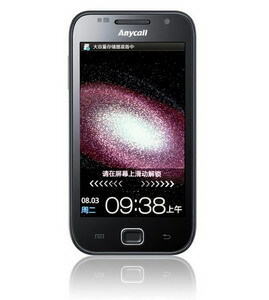 The China Mobile device will incorporate the Chinese CMMB mobile TV service and is powered by the Ophone 2.0 platform. 0 comments on "Samsung Galaxy S (CDMA, TD-SCDMA, and WCDMA) coming to China"